Nebraska is adding a specialist. William Przystup, a true freshman walk-on punter at Michigan State last season, is coming to Lincoln. Przystup announced his intention to transfer from Michigan State back in January. He appeared in four games for the Spartans in his first year, maintaining his redshirt eligibility. He’ll sit the 2019 season per NCAA transfer rules. “He’s a guy that was fourth in line there and I thought he did an outstanding job for us, a tremendous job, sort of being put on stage in the Ohio State game to start with,” Michigan State coach Mark Dantonio said back in January, according to MLive.com. A fifth-year senior and four-year starter began the season atop the depth chart at punter, but an injury forced MSU to recalibrate. Two redshirt freshmen walk-ons, Bryce Baringer and Tyler Hunt, then battled for the job, with Hunt winning it briefly before getting injured himself. For the final four games of their season, the Spartans turned to Przystup. He averaged 40.6 yards a boot on 27 attempts, with five that covered 50 yards and nine that were downed inside the 20-yard line. He averaged 42 yards a punt on seven attempts in the snow against the Huskers in November, including two that covered 50 yards and one that was downed inside the 20. The Spartans added a scholarship punter in their 2019 class who enrolled early, so, Przystup made the move to look for a new home. At Nebraska, he could find plenty of playing time when he becomes eligible in 2020. This upcoming season, the Huskers will likely have a two-way competition between two seniors, Caleb Lightbourn and walk-on Isaac Armstrong. Armstrong started each of the last seven games for the Huskers on his way to All-Big Ten honorable mention. On 32 attempts, he averaged 43.6 yards per punt, the ninth-best average in Nebraska history. Armstrong pinned the opponent inside the 20 nine times and had seven punts of 50 yards or longer. Only six of his kicks were returned. But both Armstrong and Lightbourn will have exhausted their eligibility after this 2019 season. The Huskers currently only have two other punters on roster, both walk-ons. One, Jackson Walker, will be a senior in 2019. The other, Grant Detlefsen, was part of this year’s freshman class. 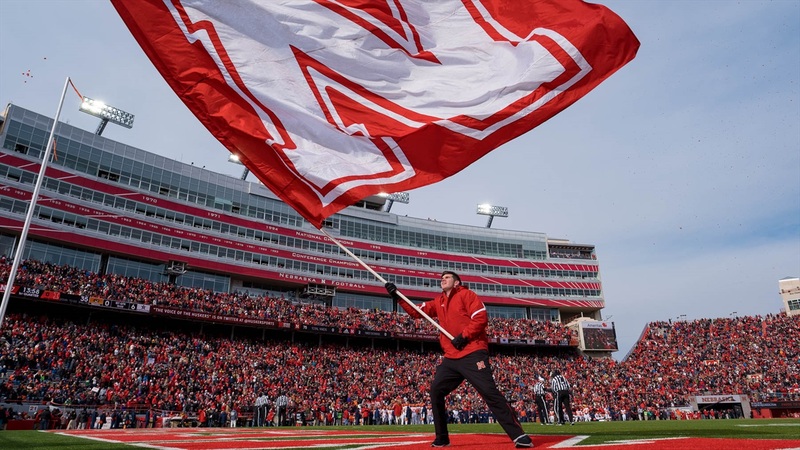 Expected to be a walk-on at Nebraska, the university has yet to officially announce the addition, but, with a walk-on, they can’t do so until he has paid an enrollment deposit.